I don’t generally go out of my way looking for unusual ingredients. But when I come across something that I don’t often see, I like to grab some just to see what it might be good in. 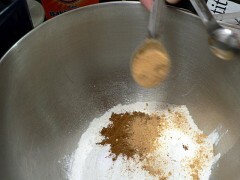 Like the sorghum I picked up last time I was at the Bergman Orchards market near Sandusky. I bought several jars, and the one I used here was lost in the back of the cupboard for over two years. 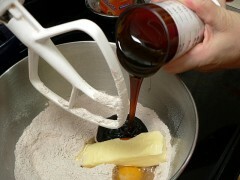 Add the baking soda, sugar, egg, butter and sorghum. 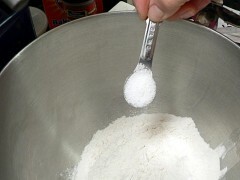 By the way, for measuring liquids, especially sticky ones like syrup, you really want to get an adjustable measuring cup . 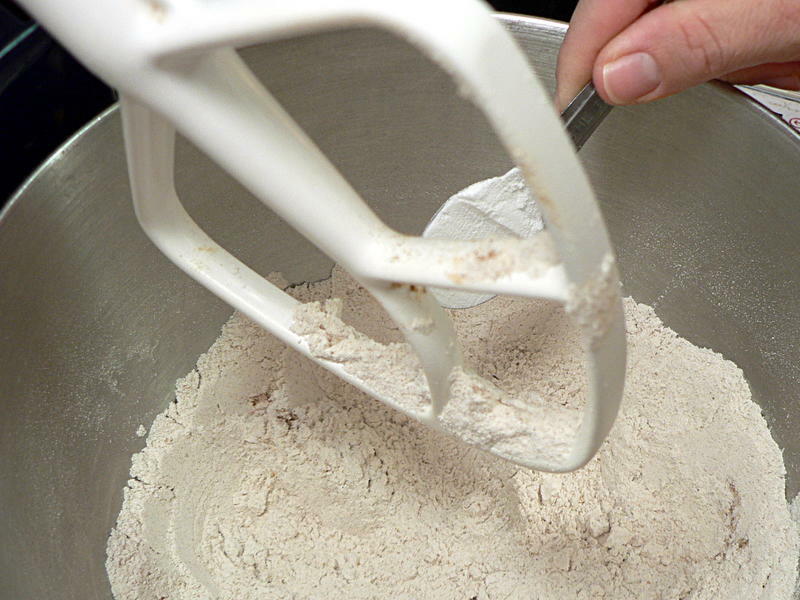 Not only do you get the exact right amount, you push it out like a plunger and get all of whatever you’re measuring without having to deal with scraping. 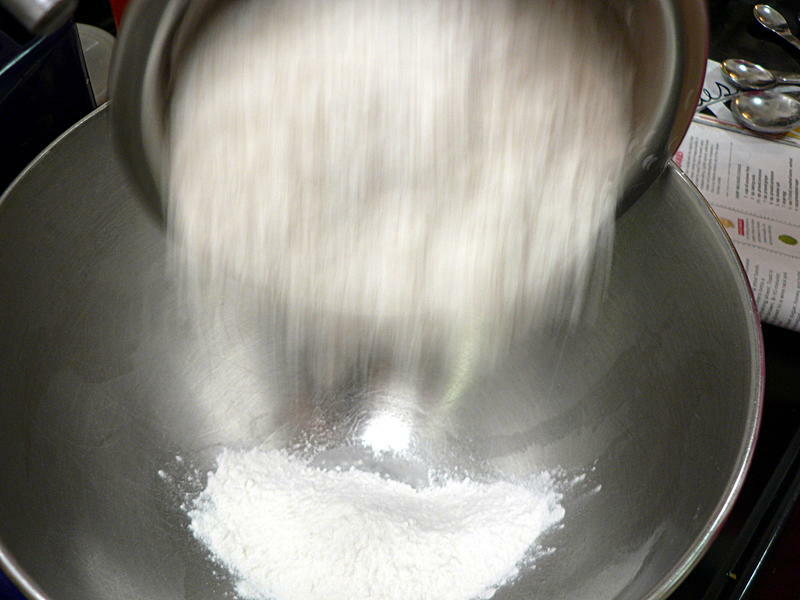 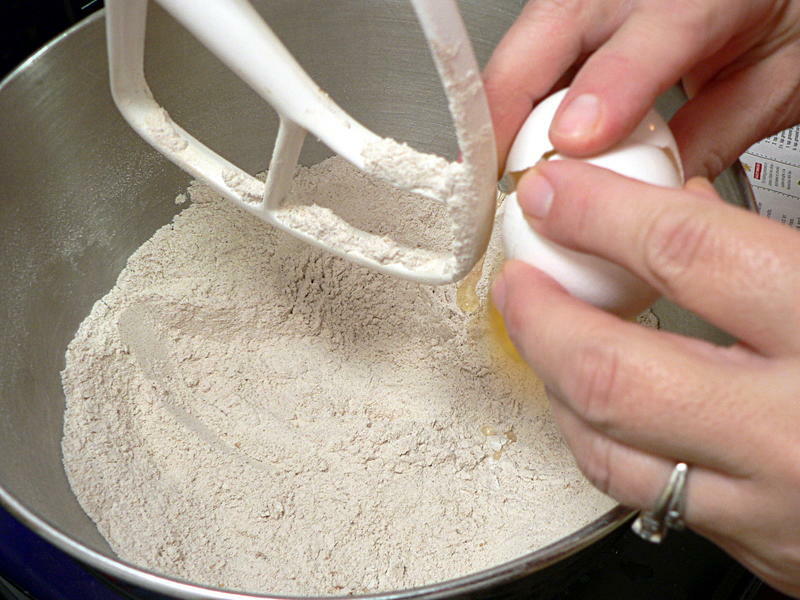 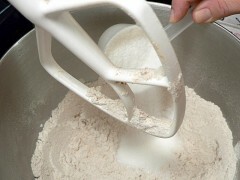 Mix on low speed until it forms a uniform dough. 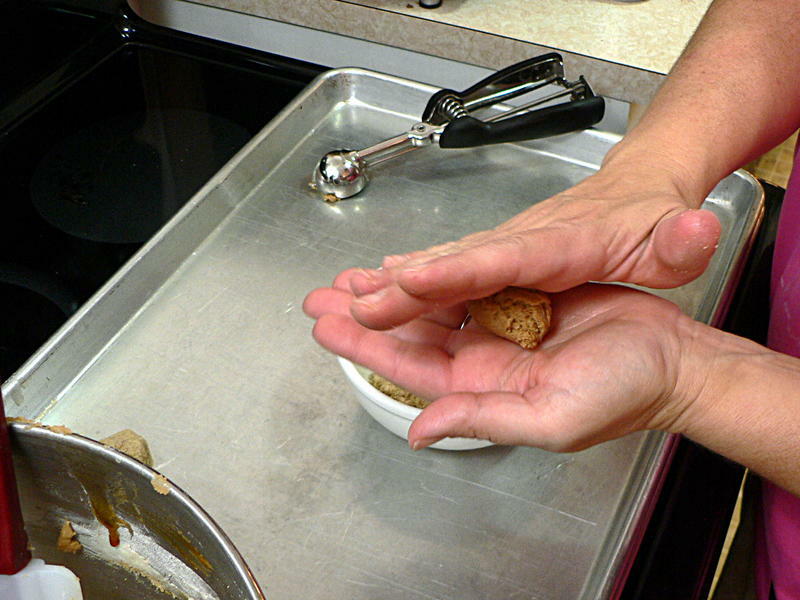 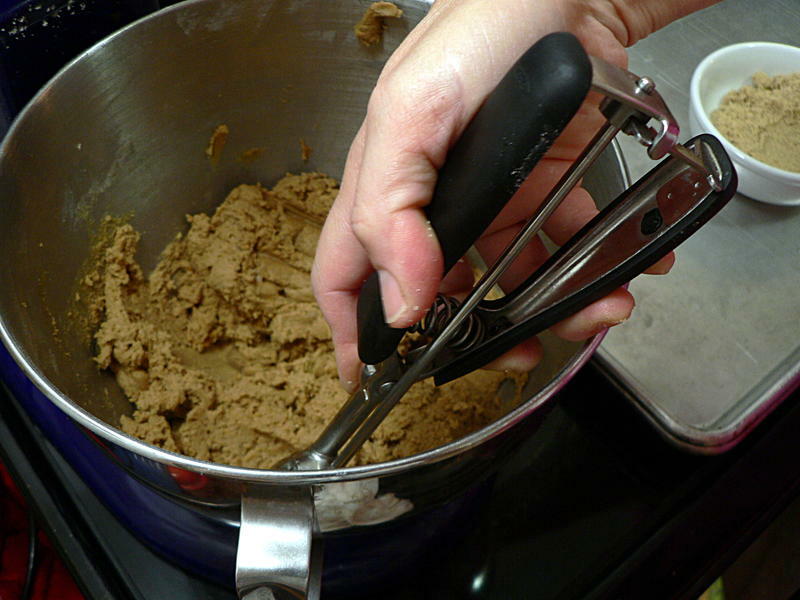 Scoop out small amounts – a small spoon works fine, but a small cookie scoop is easier – and roll between your hands until completely round. 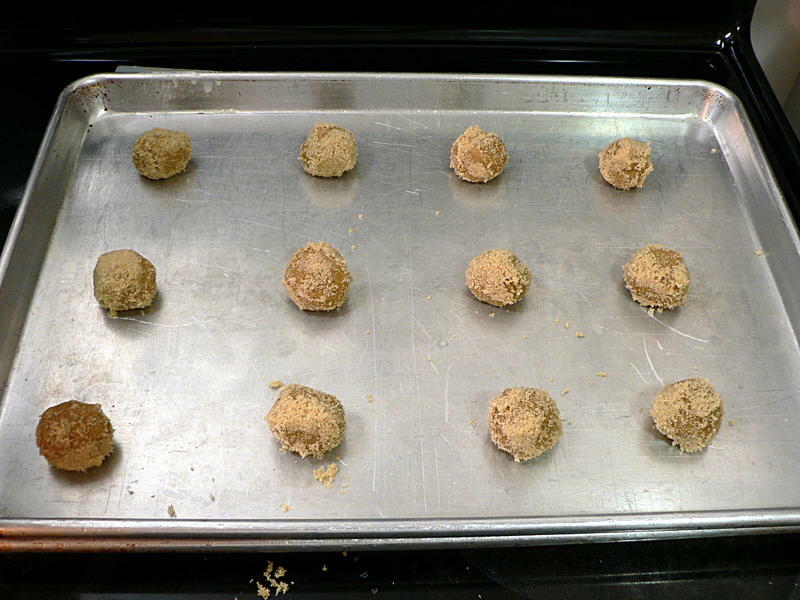 Roll in brown sugar and arrange on a dry, unlined baking sheet with a little room between them. 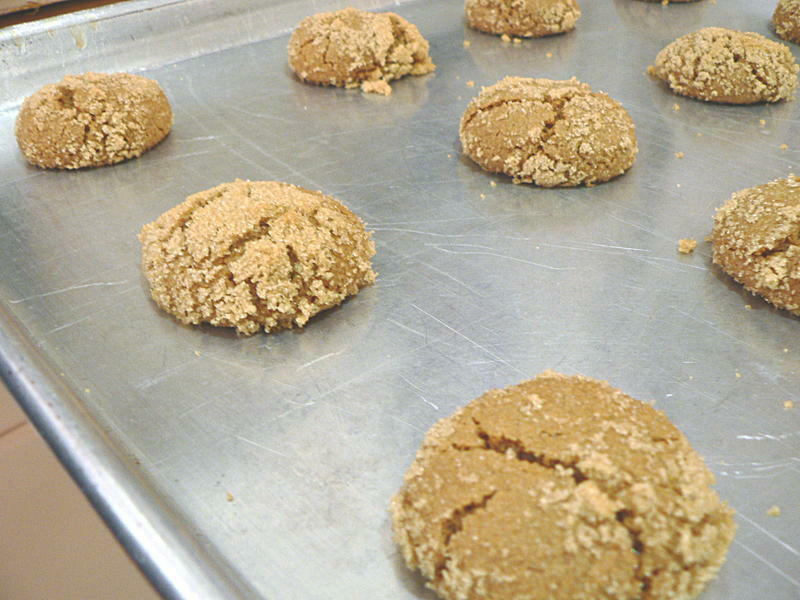 Bake at 375° F. for 8-10 minutes until they’re puffy with cracks in the surface. Serve warm with cold milk. 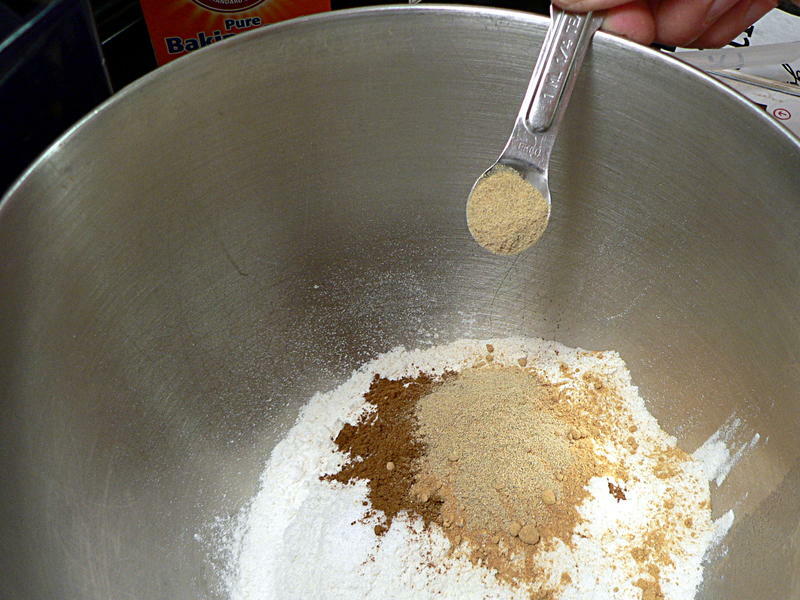 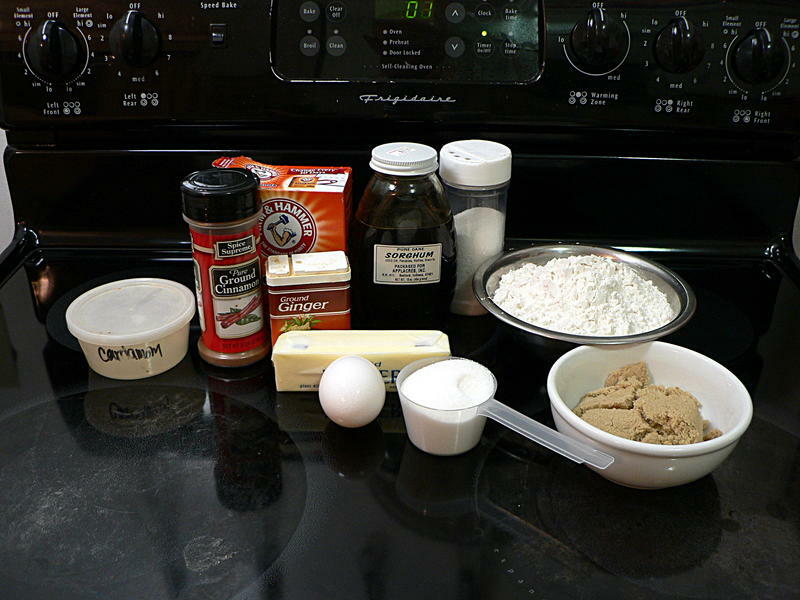 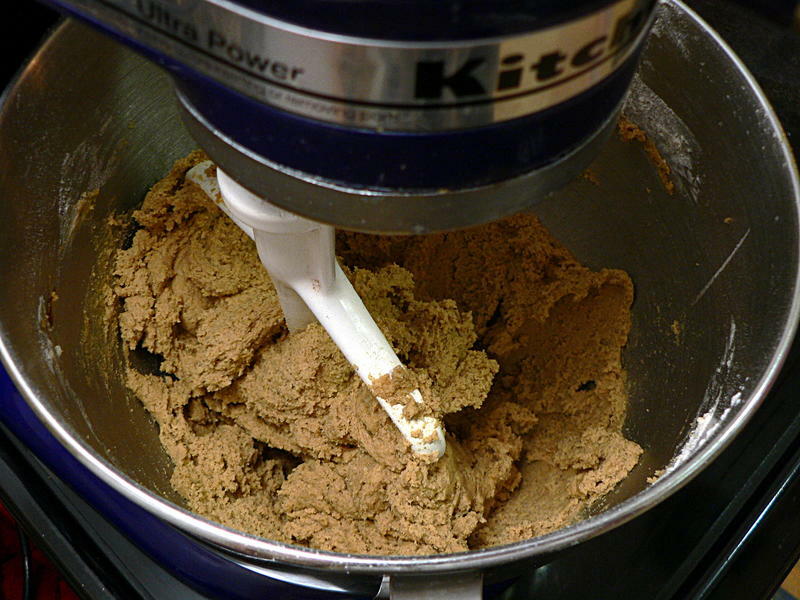 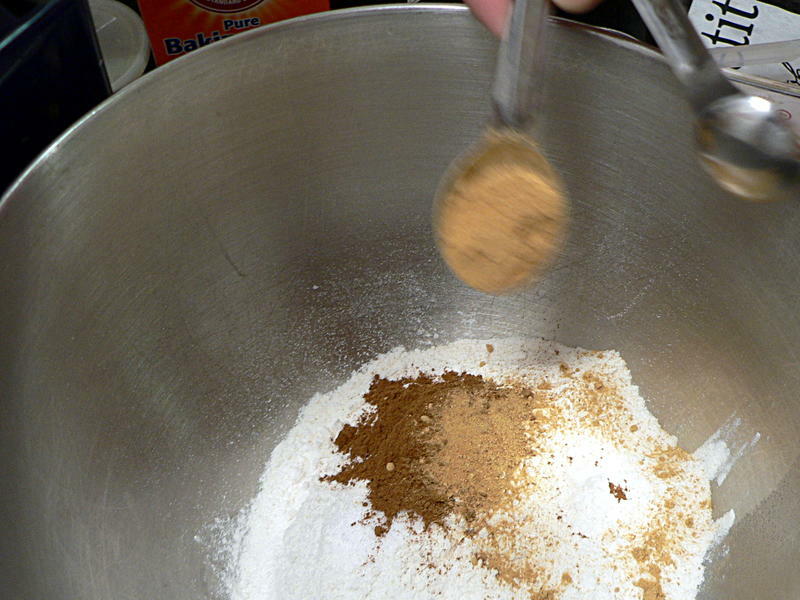 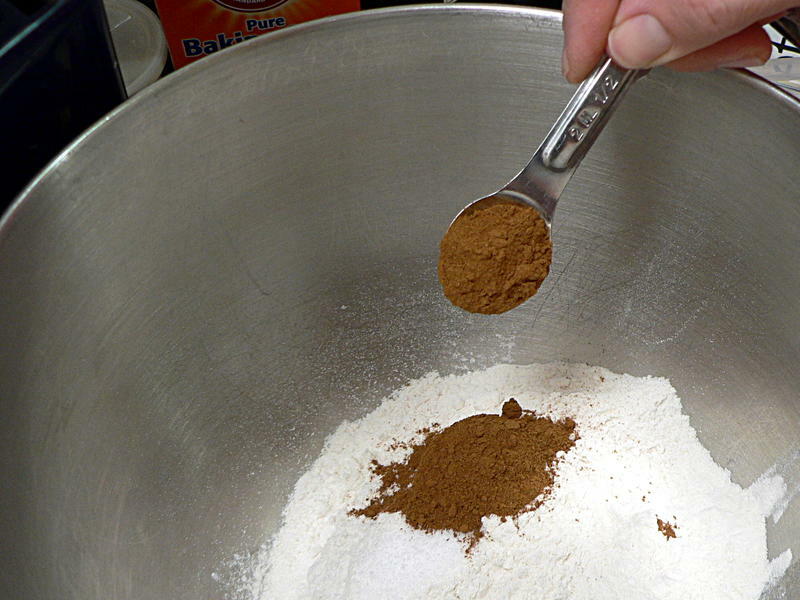 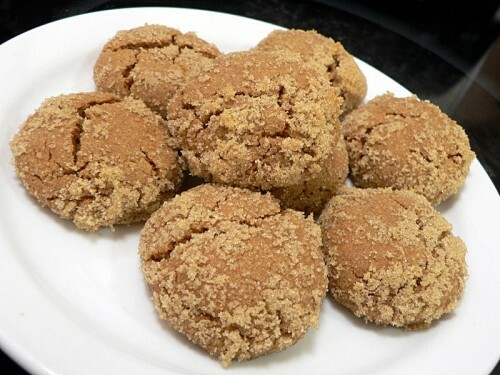 Combine all the dry ingredients except the brown sugar and mix on low speed until evenly incorporated. 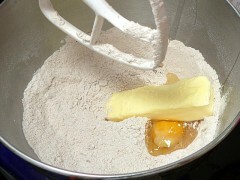 Add the egg, butter and sorghum (or molasses) and beat until a uniform dough forms. 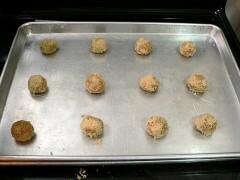 Scoop portions and roll into balls about 1 inch across. Roll each in brown sugar before placing on a dry, unlined baking sheet spaced a couple of inches apart.